Home / Firm Overview / James M. DePasquale, M.D. One of the benefits of having your case handled by our firm is that we have a full-time physician on staff who can review your medical records and can provide a “second opinion” regarding the care you have received. Meet Dr. Jim: James M. DePasquale, M.D. (“Dr. 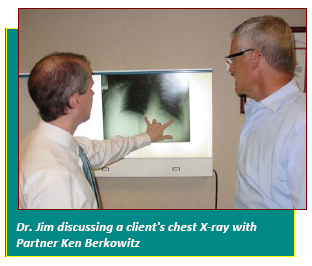 Jim”) is a licensed physician who was initially Board Certified in Internal Medicine in 1997. Dr. DePasquale is a graduate of the NYU School of Medicine (M.D., 1994), where he also completed his residency in internal medicine in 1997 (NYU Medical Center). Since that time Dr. DePasquale has worked in both private practice at NYU Medical Center, and, in clinic settings at the New School University’s student health services. 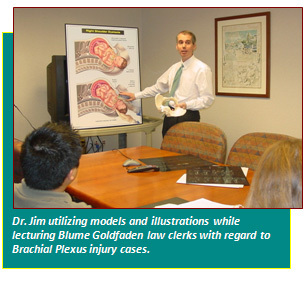 Dr. Jim joined the staff of the Blume Forte Law Firm in 2001 as an in-house physician. 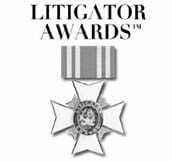 With his training and experience, he provides exceptional insight in reviewing medical records and evaluating potential claims. Given his broad medical training, Dr. Jim is familiar with a host of medical issues, including cancer diagnosis and treatment, medical/surgical errors, obstetrical and newborn care, and, nursing home negligence. In addition, Dr. DePasquale assists the NJ personal injury attorneys at Blume Forte in the production of demonstrative medical evidence for trial, mediation, arbitration, and deposition (such as medical illustrations and animations). 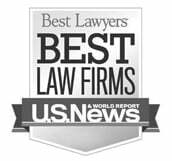 Dr. Jim also consults with medical specialists who are expert witnesses in our clients’ cases, and, assists in evaluating the likely long-term sequelae (prognosis) of injuries resulting from medical malpractice, automobile accidents, defective product and premises accidents, and, construction accidents.